High quality AC Adapter to replace your CAA0717G. 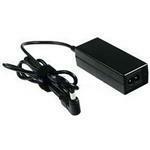 AC adapter suitable for netbooks. Get extra performance using a spare CAA0717G. AC adapter, Converts mains power to low voltage DC to power a portable device.